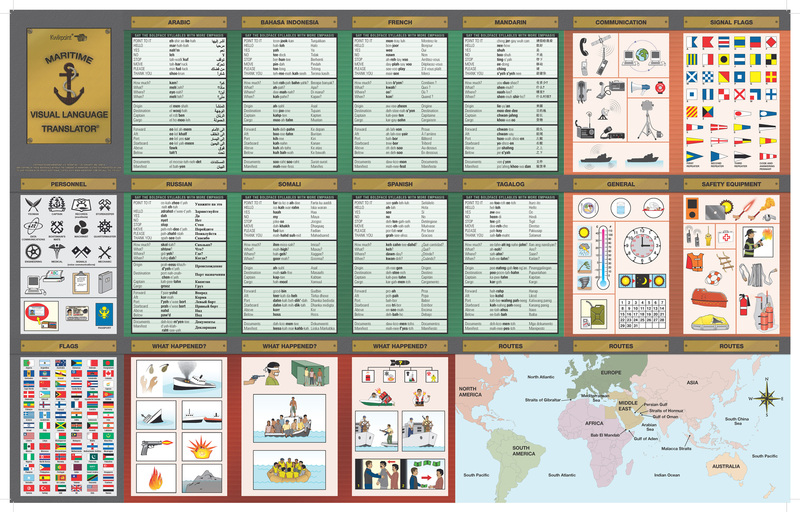 Our updated Maritime Visual Language Translator was developed in consultation with military and civilian experts in maritime interdiction, vessel search and rescue operations. 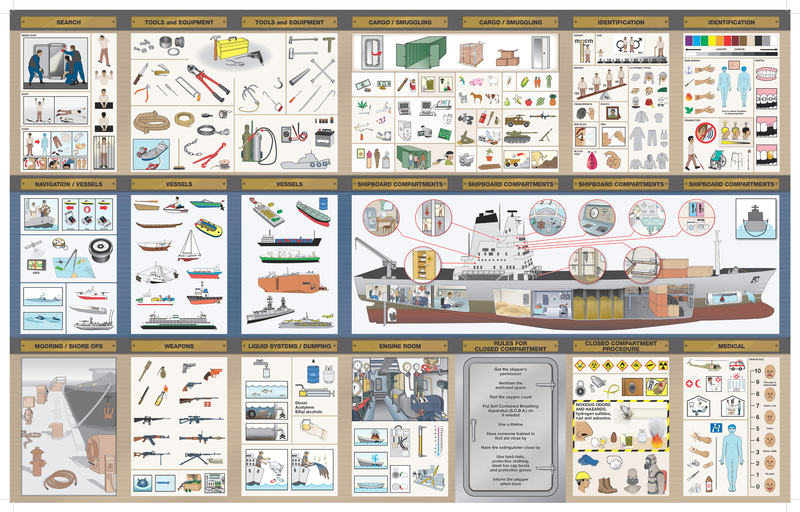 It contains essential visual language content for personnel to communicate quickly by pointing to pictures in the unique and often tense situations inherent to high-seas operations. Content includes graphics to help communicate about current crew status and recent events, identify cargo types, crew and passenger nationalities, locate shipboard compartments, and identify systems and controls, as well as ''smart card'' graphics to assist with general search, closed compartment safety procedures. Also has panels to deal with weapons, vessel types, safety and tool equipment, and suspect identification and much more. Includes important words and phrases in eight different languages with phonetic spellings to achieve spoken communication to assist with information gathering.